Our Windsor meet a writer service connects people looking for writers to a community of talented writers the Windsor area. You can instantly view the experience and skill of writers before you hire them. You can even post your needs so Windsor writers in our network can apply to you securely through our site. Hire one of the available copywriters in Windsor below. MeetAWriter.com Windsor is powered by CareGuide.com, which has been featured on Betakit, Techvibes, Mashable and The Huffington Post. Our customer support team works with you, answering questions regarding writers in the network and providing great information on using our system. Browse the writers below. Post your job. 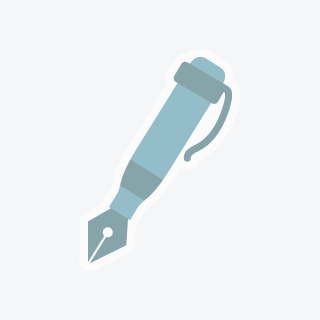 Get matched to a skilled Windsor writer today!! I'm a nobody who enjoys comedy and enjoys writing comedy.I'm a nobody who enjoys comedy and enjoys writing comedy.I'm a nobody who enjoys comedy and enjoys writing comedy.I'm a nobody who enjoys comedy and enjoys writing comedy. Live n love it up. Lets Go!Live n love it up. Lets Go!Live n love it up. Lets Go!Live n love it up. Lets Go! I am enthusiastic about the future and other things. Enjoy playing music watching movies and hanging out with friends.I am enthusiastic about the future and other things. Enjoy playing music watching movies and hanging out with friends.I am enthusiastic about the future and other things. Enjoy playing music watching movies and hanging out with friends. Good servive beats fast service.Good servive beats fast service.Good servive beats fast service.Good servive beats fast service. I’m the founder of LivDigital, a design social marketing firm. I have been in the realm of marketing and design for just over 5 years!I’m the founder of LivDigital, a design social marketing firm. I have been in the realm of marketing and design for just over 5 years!I’m the founder of LivDigital, a design social marketing firm. I have been in the realm of marketing and design for just over 5 years! A smart move with hard work leads you to success.A smart move with hard work leads you to success.A smart move with hard work leads you to success.A smart move with hard work leads you to success.